I recently had the pleasure of speaking with Michael May, CEO of the Sendero Group and a pioneer in GPS navigation and similar location devices for those with vision impairments. 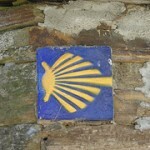 Michael has recently completed a section of the Northern Way of St James (part of the Camino de Santiago) with his family, and continues to develop his accessible GPS technology, allowing all blind and vision impaired users to be “copilots” instead of passive passengers, however mundane or epic their journey may be. More information on these devices is available on the Sendero website and you can check out Mike May’s travel blog as well.